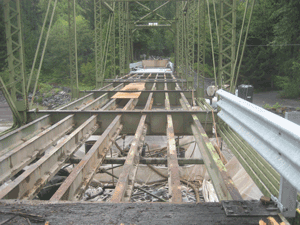 PFC is a full service, custom fabricator of structural steel and misc. metal parts and components. Our drawing and design service are perfect to convert rough drawings into production ready designs or parts prototyping. Our well equipped fabrication faculty can handle most structural, architectural, industrial, commercial or personal projects. We also offer plasma and waterjet cutting as well as metalizing services. Whether we are serving architects, engineering firms or niche businesses around the country, our capabilities are extensive and available to those who are serious about their projects. PFC is a family-owned and operated business. Customers are able to communicate with key employees and work with our staff to ensure your jobs are completed on time. PFC has had a long track record of success. We have been providing fabricating services since 1991. With many years of custom fabrication experience we have created a wide variety of parts for structural, architectural, industrial, commercial or personal application. 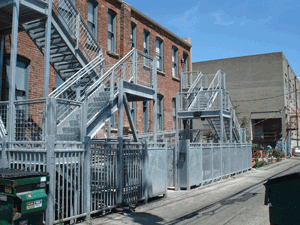 We have delivered countless steel fabrication packages for buildings and related components. 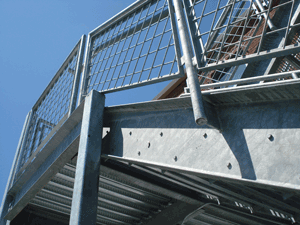 We have provided catwalks, mezzanines and platforms and many other products for industrial use. Our architectural expertise includes fabricating canopies, wall brackets, store fronts and other similar parts.